I believe that being able to work from home or anywhere can change your life. It can mean the difference between waking up to an alarm clock to be just another number in the corporate world… or being able to wake up when you want, finish work as quickly as you want, and have the rest of the day to pursue goals and dreams. Or it could mean the difference between staying at home with the kids with no income stream, or still being able to have time with the kids but also create extra revenue for your family. Now I get that it can almost seem easier to just stay in the same pattern of life you’ve already been in for awhile. You don’t have to learn new things and you don’t have to push yourself. However, learning new skills that will benefit you later can open up so many doors. I mean, wouldn’t you rather put hard work into something to get ahead now, rather than put hard work into a job that’ll keep you in the same place five years down the road? Well these last few weeks, I’ve been doing case studies on success stories of proofreaders. And not just any proofreaders, but people who took a certain set of classes that enabled them to travel full-time, quit their job, pursue their goals, and stay at home with the kids. Some of them were skeptics and some were afraid they couldn’t get clients, but after taking the course, they learned exactly what they needed to have success. Now this story is about a woman named Alicia, a wife and a mother of two kids. 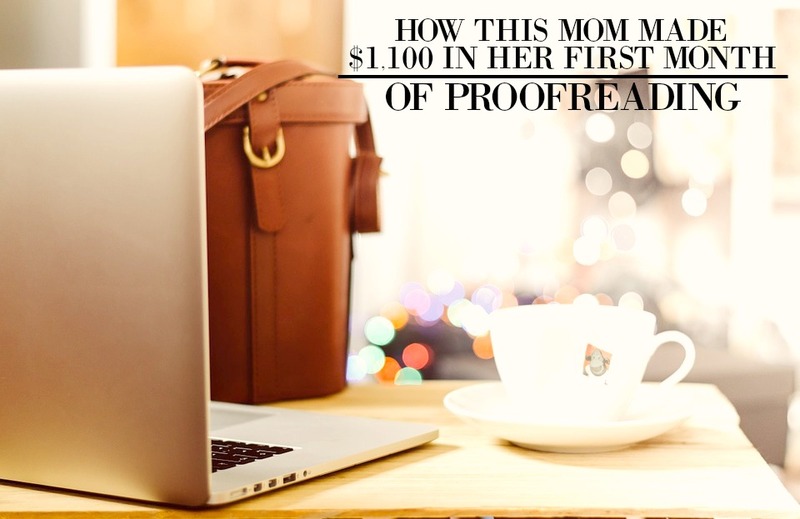 She had taken the course on Proofread Anywhere to start bringing in extra income to pay off debt completely, and so she could have more freedom in her life to travel. So down below I’m going to expand upon why this class is great and how it benefited Alicia. Proofread Anywhere is probably one of the best courses you can take when it comes to this niche since it teaches you to do two things. First, it teaches you how to work from an iPad. Doing this gives you the flexibility to work anywhere and use certain tools to make proofreading faster. It was how Alicia was able to get her first proofreading work when she was watching her kids at the park. Her first client loved her work and hired her on to do more for her. Secondly, it teaches you how to be a court proofreader. This is a very select niche and will ensure that you get work more easily (rather than competing with all the other proofreaders out there). Once Alicia got work, she was able to determine how much she wanted to take on. Of course, she had to learn how much she could do without stretching herself, but she was still able to control her workflow. Now that’s a lot better than having your boss determine how much and how long you should work. Secondly, she was able to quickly pay herself back (as it were) for the Proofread Anywhere course and iPad Mini from the work she got her first month. Now that seems worth it! Three weeks… that’s definitely not as long as looking for a job and sending in resumes to different places. And for some, they get their first client within the first couple days or week of looking for one. People are so eager to find skilled court proofreaders (and to be honest, you could use your new proofreading skills in any niche) that it’s hard to not find success. Now why am I focusing on Proofread Anywhere? Well first of all, I have a huge passion for helping people find work from home jobs. And this course can help you do just that. Yes it may seem like a bit of a commitment, but it can reap so many benefits. We all deserve the chance to work from home (or anywhere), so why not go after something that’ll help you get ahead? Why just stay in a job that has no future for you? Secondly, Caitlin (the creator of Proofread Anywhere) is an extremely helpful person that will make sure you succeed. I wouldn’t recommend something if I didn’t think it was good for my readers! Now if you have any questions on Proofread Anywhere (or other ways to work from home), just let me know in the comments down below! I’d love to hear about them! Hi, how and what does it take to get and take this Proofreading Anywhere course ? Hey Jacklyn! Here’s how the price for each part of the course (she divides them up so that it’s more affordable and you can decide whether you want to continue or not). 30-Day Jumpstart (Modules 1-2) — $197. Very common starting point. See “What’s Included in the 30-Day Jumpstart?” below for more.